Homepage / Eye / Can Using Compresses Help Reduce Eye Bags? Can Using Compresses Help Reduce Eye Bags? The bags that form under the eyes are a classic sign of aging skin. They arise due to the loss of elasticity and resistance of the skin, which no longer remains stretched. Although it is a natural process, it is possible to soften the manifestation of these bags and improve the appearance with some simple care, such as the use of compresses. 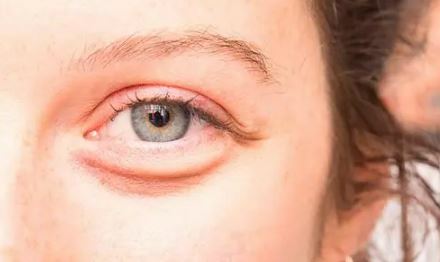 “The ‘pouches’ that form below the eyes can be the result of the accumulation of liquids (bumps) and, often, by the accumulation of fat that ‘descends’ due to the muscular flaccidity of the area and the skin. With aging, the skin is getting thinner and weaker, failing to sustain fat in its original location, “explains dermatologist Alexandra Bononi. As the eyes are the most important part of the face – it is usually for them to look first when there is contact with other people – when the bags are formed there is a drastic change in appearance. It is therefore understandable that there is a willingness to control the problem as quickly as possible. It is also important to separate the bags under the eyes from the dark circles, which, although similar – even because both affect the same region of the face – have different impacts on appearance and are usually caused by different factors that require other approaches. While pouches are usually related to aging, dark circles are more linked to vascularization and pigmentation of the area below the eyes and can be softened with whitening creams. According to the specialist, when the pockets are formed by liquids, it is necessary to look for actions that make it retain less liquid and also use assets that promote vasoconstriction. That is, using compresses of ice water or vasoconstricting substances and/or anti-inflammatory (such as found in foods such as chamomile and cucumber, for example) helps a lot. “In addition to these measures, it is necessary to ensure a good intake of fluids (to facilitate drainage), good nutrition, low sodium intake, no smoking and avoid alcohol, especially. On the other hand, when the bag is formed by an accumulation of fat and is already installed, the best treatment is surgical removal, “the doctor informs. Previous post Which Effects of Sun Exposure are Immediate?